Facebook is the “largest country in the world” population wise with 1.5 billion active monthly users. Why wouldn’t you want a piece of that? The key to using it well though is knowing what to post to get a results, whether that result is more likes, more engagement, leads or even sales. Sounds easier said than done? Well, we think you will like these ideas on how to build a following fast and what you can post to encourage more engagement. Want a step by step plan to help you succeed on Facebook? We include this in our “Online Marketing from A-Z” learning track inside Digital Traffic Institute. Become a DTI member here. 22:00 – Should you join a group? We promised a special download for you “How to use Facebook Search”. Just click the button below to get it. 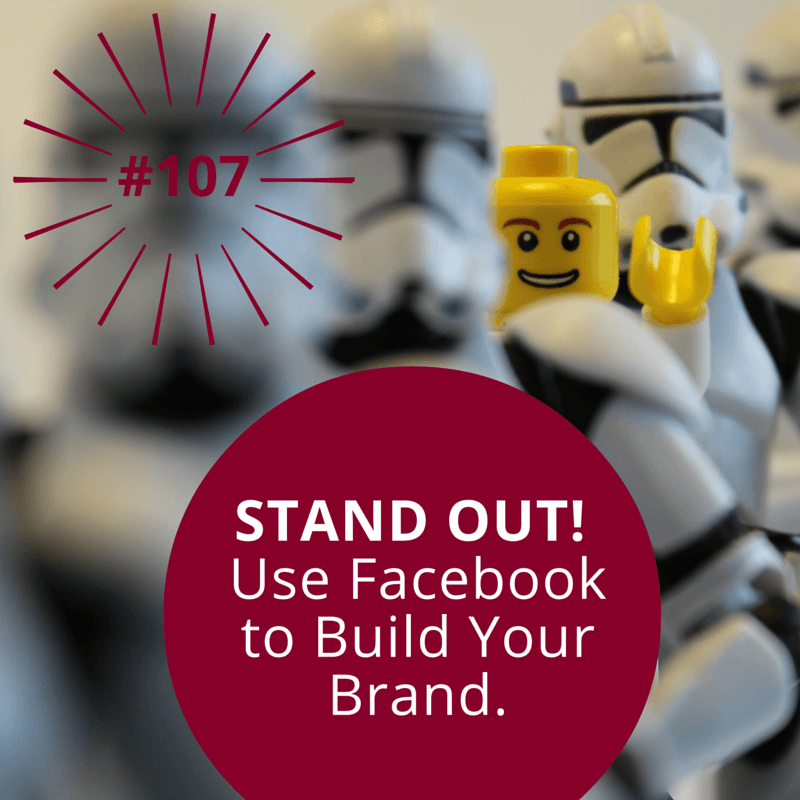 Andrew: On today’s podcast, we are talking about how to use Facebook to build your brand. Hey there everybody. This is Andrew McCauley. Welcome to our podcast. This is #107. We are going to dig in, look at Facebook and see how you can use Facebook to build your brand. Now of course, we have been using Facebook for a very long time. We being myself and Heather Porter. Of course, Heather is on the call with me. Hello Heather. Heather: Hi Andrew, how are you and how are you guys doing hanging out with us on line or on your earbuds? Andrew: Everyone is excited to be learning about Facebook. Learning — is that the right word or have we all had enough of Facebook? And is it still worth checking it out? What do you reckon H? Heather: Well it is. It is and only from the numbers alone. I mean, there’s so many more reasons right? But 1.5 billion active monthly users — that’s the biggest country population-wise so yes. Yes, it is very important. Andrew: Definitely. But before we dig in to Facebook, I want to ask you a question. What did you learn this week? Heather: Oh my goodness, I learned so much, Andrew. Andrew: That is the biggest stall I’ve ever heard. Heather: You know what I’ve been doing? I’ve actually been hanging back on Canva because I haven’t used it myself in a while and I like always refreshing myself with what business tools are out there that are working and all that. So I love it. I do really love Canva and here’s why. Before, you couldn’t go back in and re-edit your images and now you can. 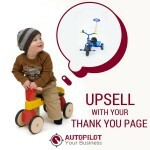 So guys it is such an amazing free tool to create images for social media and specifically Facebook. What’s cool about it is that you can have your team and yourself use it and you can — basically you have a library of all the images that you create and you can go back and edit them inside of the platform which I love and you know what else is so cool is the stock images they have for $1.00 a pop, are getting better and better. So what I learned — I guess I just learned how really amazing that tool is and how most business owners should be using that as your staple for creating images for your branding on line. Andrew: I love it that you say that because I’ve been creating some images for some of our stuff too and been using another little tool that is part of the Buffer stable and that’s called Pablo. It doesn’t let you do a lot of things; I know Canva will let you do so many more things. But I like the fact of Canva — and you just reminded me — that you can go back and change images. But as you say, keep it as a storage place because if you’re creating a social media image and especially if you’re using on places like Twitter or Facebook you can go reuse that image again and again. So I love that. Thank you for reminding of that one. That’s great. Heather: You’re so welcome. Yes. There’s an endless supply of tools I think the main thing I think, Andrew, is that there’s so many things out there. There really is, I mean there’s another app I looked at called Brander which is just to create “images” and really cool images on your phone for social. It’s just like there’s so many of them and you think — god where do I even start? The biggest thing I learned or my big takeaway, was develop your staple of your tools that you use and just get good at those. You only need a handful, really to do what you need on line. Andrew: Stick to what you know. Heather: What are we discussing in this episode? Heather: So easy. So easy to do. Andrew: — people will be here forever listening to us and surely they don’t want that. Heather: We want to make sure that we keep you guys on your toes and don’t let you get bored. Andrew: We’re going to rapid fire through this one, but if you want to go back and listen to the transcription of this particular podcast you can find it. Where can they find it, H? Heather: aybpodcast.com and just pop on over to this episode which is 107. Wow. 107 and the transcription’s there so you can pick up what we talked about from there. Andrew: If you are listening to this it’s been transcribed already. Five reasons why you and your business need to be on Facebook. Alright guys, we just talked about the biggest one is that it’s freakin’ huge. There’s 1.5 billion active monthly users. I mean, if people are saying Facebook’s dead, how could it possibly be if it’s the biggest, biggest place on the internet right now for people to come together, hang out, socialize, ask for referrals, look for branding, research companies — you know what I mean? Andrew: You know what else tells me that Facebook is big? Andrew: Mark Zuckerberg has just been named the number 6 most wealthiest person on the planet which tells me that Facebook’s doing alright. Heather: Yep. Need we say any more about that? You will get instant access to a massive market overnight. I’m not saying that’s going to be easy, organic-wise, so if you’re on Facebook or if you’re not yet on Facebook you will know — for those of you already on it — that it’s not exactly easy to get organic traffic if you use a Facebook business page and just start posting stuff. You do need to spend a little bit of money and do some techniques there to get people — to get your piece of your pie — from that 1.5 billion people. We are going to go into a little bit deeper some more advanced techniques in some upcoming podcasts, right Andrew, for this? Andrew: We will have a number of different episodes about Facebook on this. One quick question — are you finding it harder to get more traction? I know we’re going to show people how to do that; but if people kept doing what they were doing this time last year, how would their results be? Heather: It’s interesting, because with the algorithm’s ebbs and flows, I found that — couple things — you do need to spend money to get seen and to build your following. But once you build your following it’s easier to get organic. You get good organic engagement on Facebook if you’re not sending people off Facebook, therefore using a link inside your post. So you’ll get organic, but for the organic you’re not able to promote anything. If you want to promote anything, you’ve got to spend some money. Andrew: Yes. I think that is the state of play. It’s pay to play. Pay to play, otherwise you just wont get any traction at all. There is no free lunch any more, unfortunately. Heather: No. But you know guys, one of the points that we’re going to talk about is that that’s OK and the reasoning why that’s OK. But more on that in a moment. Number two. Why else should you be on Facebook as a business? Number two, you can strengthen your relationships with your community. Your community — chances are, no matter what industry you’re in, a big chunk of them are probably hanging out out there, whether or not it’s for business, but it might be for pleasure. Think about if this is where they’re hanging out on their app. They wake up in the morning; they’re on their commute; whatever; they’re on their phone and they’re on their app and they’re on Facebook and they’re checking things out and then your brand pops up for them and you’re just not flogging stuff but you’re giving them inspiration or you’re telling stories and you’re connecting with them, it’s a way to strengthen your relationships because it’s another place that they’re hanging out. Andrew: You’re saying we don’t send them to our website all the time? Heather: No. And exactly as we discussed, if you’re always doing that from Facebook you’re going to have to spend money every time. Then you’re going to get into the whole website optimization and how you’re measuring your ROI. So you can definitely build a community for free by storytelling, inspirational — I say quotes, but it depends on your brand — what you want to share. Andrew: Sharing real stuff about you whether you believe in quotes or some other fun sort of stuff. I’ve seen some businesses don’t go down the quote road but they might go down the funny road or the humorous side of things and they’re sharing humorous stuff that’s not necessarily about them but just their sense of humor. Heather: Yes. Love it. Photos, if you sell funny things, yes. I think the key is this — who are you? What does your brand stand for? — By the way, people know your brand based on how they talk about you to others — Who are you; what do you; what’s your brand stand for and what do you want people to feel when they come across your brand? Feed into that with the content that you put on Facebook. Heather: Number three. Now we’re going to hit the website topic — Build traffic to your website. You just said — ah, does that mean not sending traffic to your website all the time? Yes, correct. But you also do want to send traffic to your website. This is an easy way of doing that. Obviously — I just said earlier — it’s harder with organic but you can definitely do ads and they’re very inexpensive and we’ll talk more about ads later. Probably in a different episode coming up but the idea is that you can tap into a massive market of people literally overnight and send them to your website, which is cool. Andrew: Are there many people using ads on Facebook? Andrew: Here’s my clue — Mark Zuckerberg is now the sixth richest person in the world. Andrew: Yes. Everybody’s using ads but here’s the cool thing about it — unlike billboards, newspaper ads, radio ads, TV ads, you can super, super, super target ads. In fact you could target ads for one person. I could target ads for Heather. I could make ads through the Facebook platform and target just her if I really wanted to. Think about that. You don’t have to waste money on excess spending to people that are not your target market. This is why everyone loves Facebook ads. Because the amount of targeting that you can do — and it’s even getting more and more intriguing in what they can actually do these days — is super powerful; you really shouldn’t be wasting money on targeting excess people that don’t want your stuff. Heather: I’m so glad you talked about that. That’s our fourth point about why your business needs to be on Facebook which is — gain access to hyper-targeted ads. Some might say ultra-granular — I love that word — meaning exactly what you said, Andrew. It’s so crazy what you can target. You can go and use some of the tools on Facebook and find out that — start to dig into people that are say, liking… What’s a good, what’s a popular brand in the US right now. I wanna kick my inner-American to America right now. Heather: Ah. There’s a show I’m desperately wanting to see and living in Australia it’s not easy for me to see — it’s called The Profit. Is that what it’s called? Andrew: The Profit. Yes. A bit like Shark Tank. But it’s a guy who goes into businesses and helps them turn it around. Heather: So let’s say that your target market is entrepreneurs. You could go into Facebook and you can use all these tools to find out what food, what magazines, what different interests people have that like or watch The Profit. That’s what we mean by hyper-targeted. Then you could actually go — I’m a business in St. Luis and I’m going to target from the CBD, the central business district — I’m going to target five miles away from my bricks and mortar business for everybody that is interested in all these things about The Profit. So you place ads to these people. It’s like having full-on crazy conversations with your customer avatar that totally gets you. So that’s why it’s another great way of being on Facebook for your business. Andrew: I’m just going to chuck another one out there, if you don’t know about this. You can actually run ads now to everybody that’s actually visited your site whether you know their name or not. Andrew: How cool is that? That is one of the best things around right now — targeting people; running an ad; showing an ad to somebody on Facebook that’s just happened to visit your site the other day and may not have signed up for your newsletter or your giveaway or your opt in or your party starter, but they have actually been to your site and left they’ve left a little secret foot print that you can actually advertize to those people. Heather: You know what’s cool about that if you think about the potential of that is that these are people that already are familiar with your brand. So now you’re going to raise your brand awareness by placing ads to those people on Facebook — just those people. What we’re working on and trialing as well — and been doing so for a while — is that you can actually do ads to topics. So if you do blog posts on your website you can categorize your blog post to a specific topic and then you can actually set up ads to run to people that just hit the pages on your site with that particular topic in your blog. Pretty cool. It literally is going really deep level with your ads and pinpointing ping. Andrew: Let me just clarify that because I know some people are sitting there going, huh? What are you talking about? 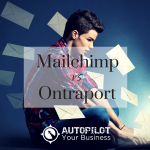 Let’s say that we… At Autopilot Your Business website we talk about social media; we might talk about automated marketing — let’s say just those two topics. 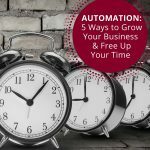 I write a post on social media; OK, lets say we’re writing a post about Facebook and you go and write a post about automation. If somebody comes along to our website and looks at my post only and it’s about social media and then they go away and they’re on Facebook — you mean we can actually target an ad for that person talking about social media because that’s the page they’ve been to, versus just coming to our site in general. They’re not going to get one-ad-sees-all sort of thing. It’s going to be — you see the ad according to the page dynamically served to the topic that they were looking at. Heather: Yes, the page or the topic. 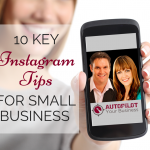 We have a really popular blog post which you guys should check out –“10 Instagram Tips for Small Business Growth.” So for example, somebody hits that page — we can actually just target that page — and we could do an ad to a webinar that’s “How do you get started on Instagram.” You know what I mean? We already know they’re interested in Instagram, so now we can place ads to the people that hit that particular page. Heather: Crazy. And we love it, and that’s why it’s such a huge reason why you need to be using Facebook more for your business. Andrew: We talk a lot about this inside of our Digital Traffic Institute too, so if you’re not a member, come along. DigitalTrafficInstitute.com — shameless plug. Heather: That’s OK. They get us, Andrew. Everyone is listening to us; we’re all in the same boat; we run businesses and every now and again — we’re in business — we all have to talk about our business. It’s all good. I think they forgive us. Hopefully. Number five is — easy market research. The one thing I love is if you do run ads there’s a tool inside of your ads manager called Facebook Audience Insights. Like I was saying before, you can go — cool, I want to know about people that watch The Profit and I want to understand them a little bit more, what else do they like, how much money do they make and their demographics. Cool tool for that all in one place. But then you also talk about and use just the search bar as well don’t you? Andrew: Yes. I love the search bar — the graph search. It’s so powerful to find things. You could put a search option in there. 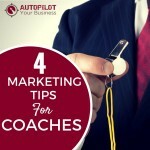 People who like — put in your business page; Let’s say for our sake it’s Autopilot Your Business — people who like Autopilot Your Business, or favorite restaurants of people who like Autopilot Your Business. We can go and find out — of all of the fans that we’ve got on our page, what are the favorite restaurants that most people like that are our fans? Or what brand do they like, or what TV show do they watch, what books do they read, what magazines they read? Once we know that then we could run ads to those particular demographics because then other people who like those magazines, books or articles may be interested in Autopilot Your Business as well. Heather: You know what I’m going to do right now as we’re talking? I’m going to create a Bitly because we have the coolest download, you guys. You know Andrew was just saying about how do you use graph search and the phrases that you need to type in like “favorite restaurants of” — that sort of stuff — there’s another cool two phrases that we’re not going to tell you now, you have to get the download. But how do you actually find out more about your competitors as well. So what I’m going to do is while we continue on to the next point, I’m going to create a Bitly; I’m going to give that to you guys in like two minutes and that’s where you’re going to go to download this cool PDF. OK? So bear with me; we’re going to move on to the next point and then you’re going to have to come and get it when you’re listening to this because just follow the prompts; you’ll know exactly how to do this amazing market research that we’re talking about. Nice one. Do it on the fly. Bitly by the way is a cool URL shortener. You’ll see how that works in a second. That was point number five, was easy market research. Heather: Moving on, Andrew, three different methods you can use to build a following fast. I want to talk about the power of linking to Facebook from not only your emails but your website. So I’m going to throw that over to you while I create a Bitly. Andrew: Sure. Go for it. We all want to make sure that you can let the world know that you’re on Facebook. 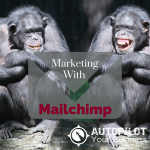 Whether you’re using a specific link or a plug-in on your website — even a link on your email — if you’re emailing people put a link down in the bottom of your footer of your email so that people can find you, go and follow you, check you out. Make sure you’re not putting it into your personal profile because that’s not going to do you any good. 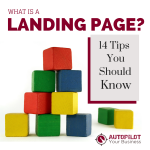 You want to make sure they’re going to your business page. Then don’t forget to have a call to action as well. Don’t just say, like me on Facebook. Put a call to action; say “like us and comment” or “like us and post your thoughts” sort of thing. Because the more interaction you’ve got on your page the more Facebook like it and the more they want to be able to share that with other people. Facebook look at the number of shares, the engagement factor and say — is this page worthy of sharing to other people? Hell, yeah. Look at all these other people talking and sharing and doing stuff on it. Let’s make sure that other people see it as well. Heather: Brilliant. Yes. Very important point. It’s all about cross-pollination. People have a preferred place where they want to hang out and some want to read your blog. Some would want to listen to — like you guys are doing — maybe a podcast; some want to just hang out in Facebook. So make sure you’re promoting your Facebook page all over the place. 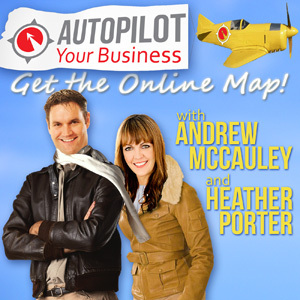 Heather: Speaking of which — we do have a Facebook page it’s Autopilot Your Business on Facebook so come and find us. Andrew: You’re just piling out the links today. Heather: OK. Number two. What’s another method you can use to build a following fast is you can comment on other pages as your page. What does that mean, Andrew? Andrew: When you log into Facebook normally as yourself, you’ve got your personal profile; you are looking at people’s businesses and profiles; you can comment on their pages. But if you actually change so that you are now using Facebook as your page then when you comment on other pages, you will have the — let’s say our page as Autopilot Your Business — if we were to go to another page, let’s say the podcast king. Let’s going to his page — I don’t know if there’s such one; I’m just making that up — but if we were to go and comment on a post that he put on there, our little name there would be Autopilot Your Business. If people wanted to go and check us out and find out who we are, they’d click on that link; it’d take them back to our page rather than my personal profile. Now there’s a couple things with this. You can’t go and comment on groups; you can’t join a group as a page, so you have to be a personal profile to join a group. But using it as your business is wise idea especially when you can go to other pages and comment on them. Heather: Cool. And I thought let’s move on then to point number three. I think you did a great job of covering that. So it’s all about engagement; it’s not a one-sided street where you’re just blabbing on on your own Facebook page you got to reach out and communicate with others as well. Andrew: Yes. One thing I do want to say is that another good tactic that — I just told you you can’t do that on groups — but as a personal profile you can join groups. There’s a lot of groups out there that are private, which is cool, but there are groups out there which are open to having people share links and commenting on different stuff. They can tend to be a little bit spammy but if you find the right groups where people actually like looking at that stuff — amazingly enough they do — you can post your links and stuff like that in those groups too and that can help with some traffic for sure. I have that Bitly for you guys. Got to hang in there though because we’re going to cover point three and then I’m going to give it to you. Point number three is running ads. We just already talked about that but I thought we should kind of hammer that home. The fastest way you can build a following of course with anything is spending money to reach the perfect person who is interested in what you have to offer. So running ads, like we’re saying, where you go deep level into your demographics or just in general, you can run all sorts of different types of ads to not only get a following in your Facebook page itself so you can target the right person to like your page but also to promote your posts. 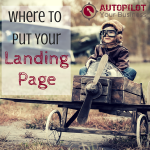 So you’re promoting the content on your page to get more engagement and of course as we’ve said before you can also send traffic over to your website, a landing page, a blog post, a sales page, those types of things as well. Andrew: There’s basically two ways to pay for traffic. You either pay with time or you pay with cash. Time is organic. You’re going to spend a bit of time; you’re building relationships; you’re building that engagement with people; they get to know, like and trust you. And it’s going to take some time to do that. Otherwise you can pay with cash which is a quicker method but the overall interaction and the connection that you’ve got with those people is pretty short lived. That’s the same with any ads and anything on any of these social platforms. Organic lasts longer and it usually has a better effect long term. However, if you want to do a quick fix and get some quick cash into the door because that’s what you’re trying to do then paying for it can be a good way to go too. 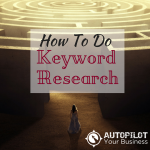 If you go there we’re going to have a PDF for you that you can download that will walk you through how to use the search bar in Facebook to do market research and even understand who are the people that like your competitors’ pages. If not for anything else in this entire episode, Andrew, that and that alone should be worth your while to go pick up this document and check that out. Andrew: There you go. There, you got a page and go and grab it while it’s hot. Heather: I think we should talk about our third point. Andrew: Third point. Look at the time; it’s flying through. How to create posts that encourage more likes and comments. Heather: Alright, this is again talking about the fact that you’re on your Facebook page — your business page — you’re putting a post up. When you’re posting something on your wall, how do you get more engagement happening to that? Number one little piece of advice is to be personal. What I mean by that is if you’re posting a blog post and you’re just putting a link in of your blog post and you automatically let Facebook pull through the default image from your site and the default blurb from your blog post, that’s not being personal. Being personal would be — hey guys, check this out; we’re so excited; we just wrote this blog post and the reason why we wrote it is because of this and we know you’re going to love it; go over here to check it out now. See the difference? You’re using the same link but you’re being personal about it. Number two — ask questions. Again, you’re engaging people. If you’re just telling people things all the time and not asking what they think or giving them a chance to talk back to you, then that’s not engagement. Number three — respond to your biggest fans. I like this one because it’s so important. Everyone has brand ambassadors. These are the people that — they may buy from us or they may not buy from us yet but they’re really loving what we do and they’re going to talk about us on line and back us up and support us. Anybody that you start to notice a trend — those that talk to you more often — make sure that you give them special attention because they’re going to bring their followers over to you. Number four — I know you love this one, Andrew — be inspirational. Andrew: You know what? It doesn’t have to be inspirational quotes, it just has to show people that you are doing something that they would like to do or be seen to be doing. Heather: I love that. I think that people should listen to that because a lot of us get all caught up in the whole — oh, I’ve got to go find another inspirational quote. If it doesn’t mean anything to you, if there’s no story behind it then you need to use it; you’re just adding to the noise. But like what Andrew is saying, if you’ve learned a business lesson or a lesson in weight loss, if you’re in the weight loss space or life coach space — you’ve learned a lesson, you can go and you can put your quote there or a quote that resonates with you and then say — again be personal — and say this just happened to me today; this is a really cool little thing I want to leave you with. Andrew: It doesn’t have to be world shattering. I had a friend who said to me, “I went to the gym today” and I’m like, “damn, I wanted to go to the gym and I didn’t go.” That’s inspiring me to do it tomorrow, right? So it doesn’t have to be too crazy. Number five is — use amazing images. This ties right back to the beginning where we were both talking about some tools that you can use. Canva.com, free to sign up, has amazing images, graphics, words that you can put on top. You have no excuses any more to have some dodgy old looking image on your Facebook page when you have such beautiful tools available to you. Heather: Number six is — upload your videos straight to Facebook instead of embedding a link from YouTube. Why would they want to do that? Andrew: No tube, no tube. Here’s the deal with this. Facebook don’t like YouTube — it’s Google. Firstly you will get the full view of the video on people’s news feeds, whereas if you put a link from YouTube it’ll take a little image and some text. People don’t like that; they don’t want to watch it; you can’t watch the auto-start. So there is probably — I’m going to tell you — interactions-wise, you would get at least ten to twelve times more interactions from a direct embed than a YouTube video. That’s a study that’s just been created and passed out only a few weeks ago. So don’t do it YouTube; post it directly on to Facebook. The last one is to make sure that your blog posts look amazing when they’re shared. What we just talked about in point number one is being personal, getting more engagement by being personal. So if you create a blog post, instead of just sharing it and leaving the defaults, tell a bit of a story. That’s cool for you but ideally you want people to share your blog posts from your blog as well on their Facebook pages. In order to make it easy for them so it looks amazing and has a good strong message in it, inside of your blog you want to make sure to use an SEO plug-in or a plug-in that allows you to choose which image and which text is shared on Facebook or social media when somebody hits that share button. Or just even paste the link in into Facebook. We use WordPress SEO by Yoast, it’s a plug in and it has an actual social setting on every single blog post where you can choose — exactly which text will go onto Facebook when people share. Pretty cool. Is that it? Are we done? Heather: Yes. That’s the last point for how to create your posts that encourage more engagement, likes and comments. I think there’s a couple golden nuggets in there for you guys. Even if you don’t do all seven, try and grab one or two of those and start testing that in your business. Andrew: I think we turned a fire hose on for some people. Heather: We said we didn’t want to be boring. Andrew: Yes. Well we filled their heads with stuff. Go ahead, if you want to listen to us again, listen to aybpodcast.com or read the transcript. Download it; check it out. And you can go through each of these points. Don’t forget the bit.ly/fb-research. Heather: Yes. Please come by and download that. You’re going to love understanding Facebook search. Andrew: We’re going to wrap this up. This is like almost a skidding halt. You got things to do; we got things to do. Wow, that was crazy. Heather: I know. That was unleashing our Facebook knowledge in a short amount of time; it was good. And we have more where that came from, guys – a little bit more advanced; a little bit more tricky — coming up in the next episode. So definitely if you’re not, subscribe to us. You want to do that in iTunes so you will get that lovely little push notification on your phone that says “Episode #108” — which is our next one after this — “is available with cool new Facebook, more deeper level tricks that you’ll definitely want to know.” If this whetted your appetite you’ll love the next one. Andrew: Yay. Alright H. Thank you very much; you are amazing. I will talk to you on the next episode. Heather: Sounds good. Thanks guys. Talk soon.